We serve the North Shuswap, Columbia Shuswap, and surrounding areas. Life Force is a unique Experiential Learning program facilitating various activities, camps, workshops & retreats. As well as, wedding officiant services and ceremonies, Yoga, and Self Development Programs. We honour each person’s own self- development and self-healing through various healing modalities, activities, and self work. 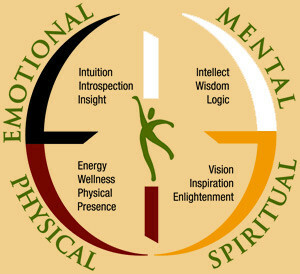 We offer an open accepting outlet to develop spiritual awareness and true self discovery, as we believe these are the key components missing in most all streamline counseling, educational, and residential programming. Life Force supports individuals through activity and debrief, integrative counseling, universal energy practice(s), and emotional discovery and release. Where we start in the journey is dependent on the individual or group. We incorporate activities such as canoeing, team building, and yoga to “lighten” and “elicit”. The underlying foundation of our programming is simply remembering and being our true selves. The activities we offer just help us remember a little sooner! In our society it’s too easy to forget. All participants are invited to begin a workshop with an individual session with Danielle, where goals can be established (where appropriate). We also offer private and group yoga classes, as well as canoe programs & certification. The opportunities we provide around our various workshops and clinics are always focused around acquiring knowledge, embracing your true self, and learning to be in the present. We know through experience; inherent gifts, skills, abilities, and deep self discovery will just happen! We work with all ages,demographics, groups, and point of remembering. We also offer specialized groups to those coming to us out of mandate, those with learning differences, or an initial unwillingness to participate.